Situated in a national park, this hotel is 3.6 mi (5.8 km) from Forestry Museum Silvanum and 3.6 mi (5.8 km) from Gallenstein Castle. Wasserloch Gorge and Gstatterboden National Park Pavilion are also within 16 mi (25 km). Situated in the mountains, this luxury hotel is 2.2 mi (3.6 km) from Putterer Lake and 2.5 mi (4.1 km) from Trautenfels Castle. Thunder Creek Ruins and Woerschach Gorge are also within 6 mi (10 km). Situated in a rural location, this hotel is within a 10-minute walk of Gesaeuse National Park Information Office and Admont Abbey Library & Museum. Weidendom Adventure Center and Gstatterboden National Park Pavilion are also within 12 mi (20 km). Admont Station is 15 minutes by foot. Situated in Spital am Pyhrn, this pension is within 6 mi (10 km) of Hinterstoder Wurzeralm Cable Car, Windischgarsten Square, and Windischgarsten Church. Limestone Alps National Park is 6.1 mi (9.8 km) away. Spital am Pyhrn Station is 12 minutes by foot. How Much is a Hotel Room in Sankt Gallen? 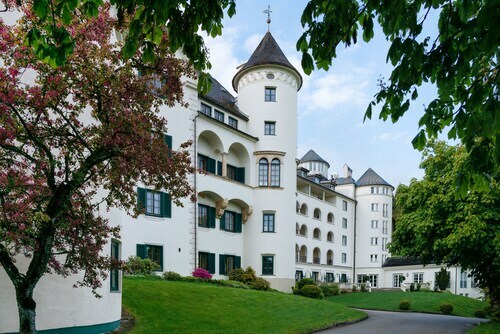 Hotels in Sankt Gallen start at $88 per night. Prices and availability subject to change. Additional terms may apply. Sankt Gallen has just one hotel option. So if you plan to stay a convenient drive from the main area in Sankt Gallen, make a booking early. The Familiengasthof Maier, Styria, which is the closest Travelocity-listed hotel, is located 20 miles (33 kilometers) from downtown Sankt Gallen. Also, you could consider the JUFA Hotel Eisenerz, located in Upper Styria, which is 15 miles (25 kilometers) from the town center. 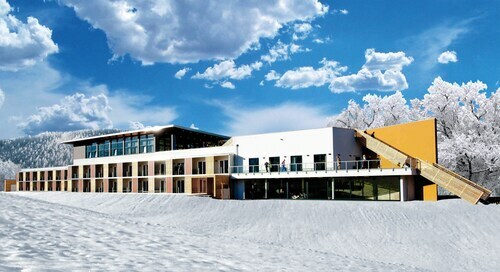 The JUFA Hotel Röthelstein can be found 10 miles (16 kilometers) from downtown Sankt Gallen. Another accommodation option is the JUFA Hotel Spital am Pyhrn, which can be found about 12 miles (20 kilometers) away. Two more hotel options in the vicinity include the Feriendorf Hohentauern and the Gasthof Botenwirt. The greater Styria district is certainly well worth discovering as well. Discover Styria's castles, traditional villages and old towns or admire its rural landscapes and forests. Tireless travelers can also try their hand at snowboarding and skiing in this part of Austria. 35 miles (52 kilometers) to the southeast of Sankt Gallen, you will reach Leoben, where you'll find Leoben Main Square and Goess Abbey. A few Travelocity-recommended Leoben hotel options include the Falkensteiner Hotel & Asia Spa Leoben and Kongress Hotel. 50 miles (80 kilometers) west of Sankt Gallen, you can find Schladming, which features the Hotel Pichlmayrgut and Hotel Schwaigerhof. The Dachstein Glacier and Schladming Main Square are some of the most popular places to visit when in Schladming. If experiencing the thrill of stadium sport is always on your mind, stop by TipsArena, which is 45 miles (74 kilometers) to the north of Sankt Gallen. Sports fans that would like to find Travelocity-listed hotels in the area surrounding the stadium should read about the Art & Style SPITZ Hotel or the Austria Classic Hotel Wolfinger. Now you've discovered accommodation options in Sankt Gallen, take a moment to read through Travelocity's Sankt Gallen regional guide for the inside scoop on ways to spend your time in this corner of the world.